The folks over at Nintendolife have been lucky enough to get their hands on a Nintendo Switch early and a number of physical copy games. In a sequence of high res images they compare the Switch game card to a number of other game formats, including SNES, Genesis, Game Gear and of course Game Boy. Short answer? Switch game cards are comparable to a PS Vita game, or roughly the size and dimensions of a regular-sized SD card. This makes them around half the size of a DS or 3DS game. 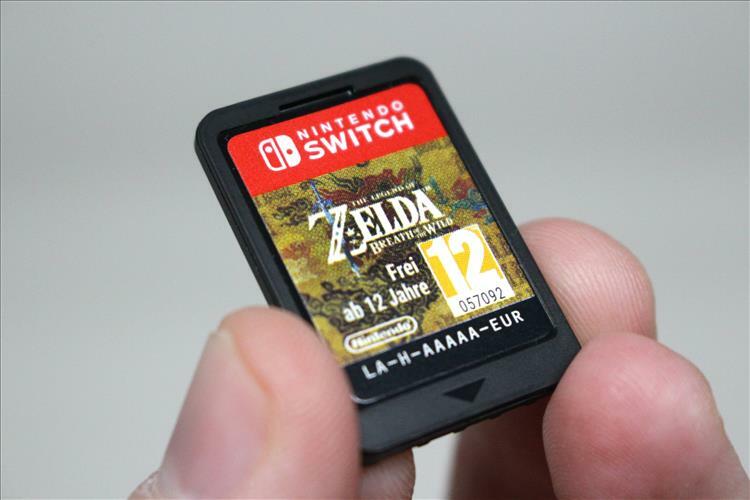 It's pretty crazy to think that a game the size of Zelda Breath of the Wild will fit into that tiny space, but then again consumer-level 2TB micro SD cards are on the way, so there's that. This also gives me the impression that the Switch card keepcases waste a lot of empty space. Take a look at the gallery yourself, and ponder how easy it will be to lose these little buggers.